What’s better than a personal handmade card and trinket for your Valentine? It’s the yearly tradition of expressing how much you appreciate your loved ones! Come make cards and tokens for the people in your life. Bring them to work, to school, give them to your best friend or your parents! This one day workshop will have lots of options for your crafting pleasure. You get to paint with pulp, make shaped sheets with cookie cutter hearts, decorate with ribbons and write a message with colour pencils and markers. You even get to print some beautiful patterns and fun images with our lino hand-cut blocks! 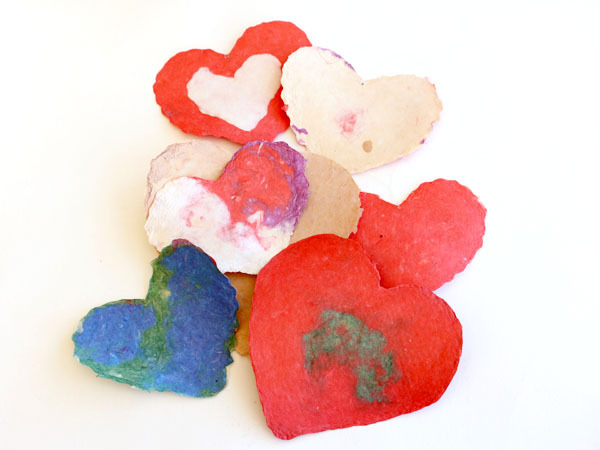 Have some fun and learn how to make your own Valentines. Let’s celebrate love in all its shapes and forms!